According to a 2012 survey by SearchEngineLand, almost three-quarters of consumers trust online reviews as much as they do personal recommendations. The year 2016 is almost upon us and if you are still ignoring online reviews then you better wake up. 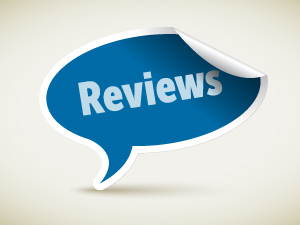 In this article we explain how you can get more of your dental patients to give online reviews. Make sure your practice is listed on as many third-party sites as possible so that patients can find you on their favorite website if they feel like writing a review. This will get you some reviews organically over time i.e. without specially asking patients. Your website is where patients go to when they need information about your office. By having review buttons on prominent places you can direct some of these patients to third-party sites to write a review on your local listing. You can also create a separate page on your website where links to all your local listings and 3rd party sites are available. Then link to this page from prominent places on your website. Prepare step-by-step instructions for writing a review on various sites e.g. (google+, yelp, angeslist etc.) on a one-sided handout. Then prepare copies of these handouts and distribute them to patients visiting your office. Make sure you only request a review from patients who have been visiting your office for several years as they are more likely to post a positive review. In addition to giving instructions in hard copy, you can send them the review link and instructions by email. Although it may be a problem for senior patients who do not use email, it will be easier and preferable for most patients to get the review links and instructions via email. Almost every dental patient uses a phone. You can hand pick 20 odd patients and call them personally asking for a review. Also give them review instructions handout as well as a personal follow up email. This will increase your chances of getting a review. Ask your fans and followers on facebook and twitter to post a review by giving them a review link in your status or post. The good thing is that you can do this at least once a month and just collecting 2 reviews per month would give your dental office 24 reviews by the end of the year. If you know that a certain patient has given your dental practice a positive review, you can request them to review your dental office on a another website. You can ask them again after 5-6 months to post their feedback on another website and then another after a year. This way you can populate several of your local listings with positive reviews coming from a single patient.